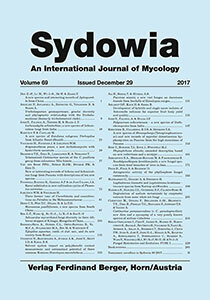 A Phytophthora diversity study in native forests and plantations of exotic Acacia mearnsii and Eucalyptus grandis yielded several isolates of an apparently new species in Phytophthora Clade 4. Multi-gene phylogeny placed these isolates in a single monophyletic clade together with sequence of an isolate CBS 121939 linked to the description of Phytophthora alticola. The morphological features of these new isolates were substantially different to those presented in the original description of P. alticola, but identical to an ex-paratype isolate (CBS 121939) of that species. The original description of P. alticola was likely based on mixed cultures and has been previously recognised as nomen dubium. In order to clarify this confusion, we have designated a neotype and emended P. alticola based on these new collections.